Mold can appear in any house and is not as uncommon as you would think. So, before you need to look for mold removal San Diego experts, it’s good to get familiar with some of the facts. As mold can present a serious health hazard, quick identification and removal is key. Since only experienced personnel know how to approach the problem adequately and get rid of it once and for all, mold infestation removal is best left to professionals. Still, it doesn’t hurt to know how to remove mold from drywall, so here it goes! Why is there mold on my drywall? 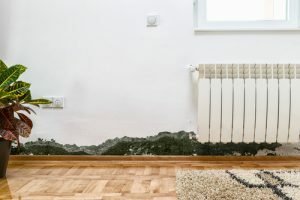 Usually, the main reason for the appearance of mold is moisture. Although some places in the house are especially susceptible to mold, it can grow on any surface affected by excessive moisture. When it comes to drywall, this issue becomes even more serious. The question of how to remove mold from drywall always includes locating the problem and its source. Only after eliminating the source can the consequences be fully remedied. This is why you should leave the removal of mold from drywall to the experts. There are numerous types of mold, all of which can find their way into your house if there is an excess of moisture. They are miniature spores which thrive in damp areas and in normal room temperature. Not all types of mold are equally dangerous, but none of them should be taken lightly. The most common and the least potent variant is mildew, which is similar to black dirt on the wall. It can easily be removed, but it should not be confused with actual black mold, a serious issue anywhere it appears. If you do find black mold, it’s time to call the pros. If mold affects your drywall, which is a porous surface, there is a high probability that it will need to be completely replaced. There are instances when, if found in time on the surface and not inside of the material, the issue can be remedied with a simple cleanup. But sometimes, when the area of effect is large and deep, the infected parts of drywall need to be cut out and replaced. All of this should be done while trying not to cut through the mold spores themselves. Only professionals are properly equipped for quick and efficient interventions and they know how to remove mold from drywall permanently. If mold has penetrated deep into the drywall, extra caution and cleaning should be applied and the whole area needs to be completely dried out later. By regularly inspecting your home for signs of mold, you can prevent the need for a later serious cleanup and use of bleach and other products. Simply note all the areas of your house which are at risk of becoming damp and try to prevent that by inspecting them for any tell-tale signs. Don’t know how to remove mold from drywall? We do! Even if you have found signs of mold in your house, don’t despair! Not everyone knows how to remove mold from drywall, but KIC Restoration has a proven track record of mold remediation in the San Diego area. Call us for an inspection that will be swiftly arranged and performed!